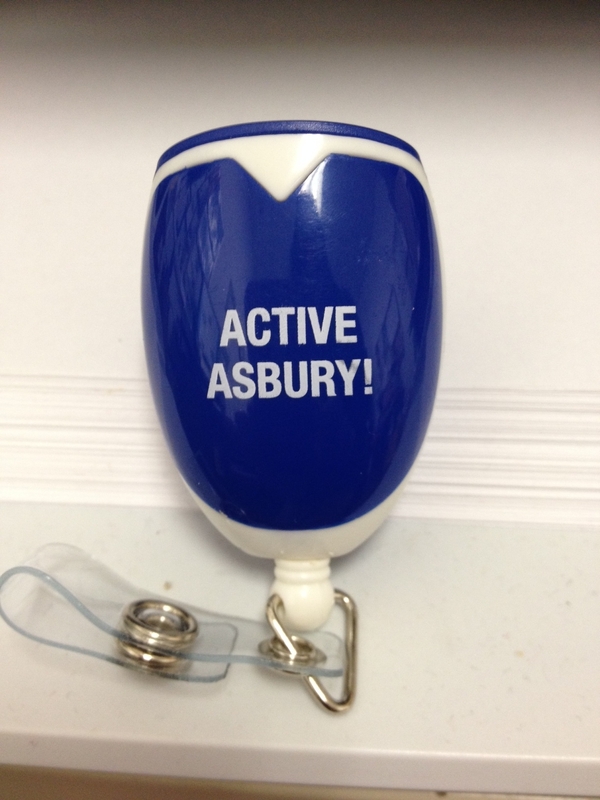 Asbury Park Gets Active and Healthier! 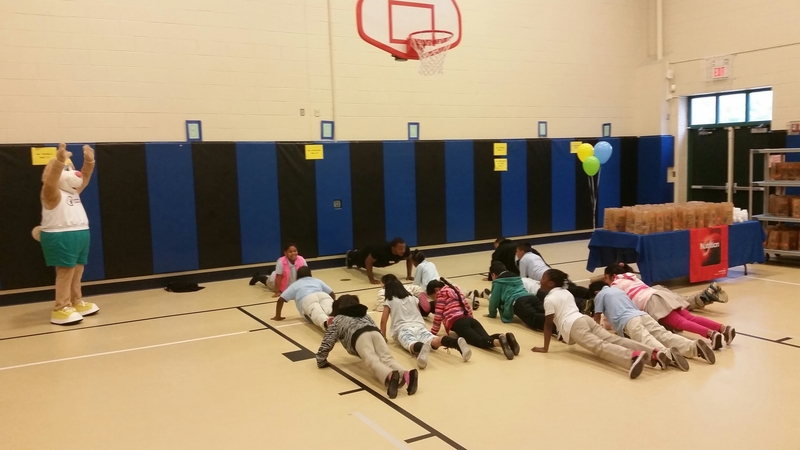 In just six short months, Action for Fitness in Monmouth County has worked with our committed partners to start two School Health Councils in the Asbury Park elementary schools. Together with our key partners, the Asbury Park School District, the YMCA and Meridian Healthcare, we are developing strategies and methods to teach students the importance of eating healthier foods and moving more everyday, we are creating effective policy and environmental change in the Bradley and Thurgood Marshall schools, and we are seeking to motivate and empower the school staff to be effective role models who make a difference in the lives of their students and the community of Asbury Park. Submitted a Party Policy change that has been approved by both SHCs and needs final approval by the District Board of Education. The policy requires all school parties to adhere to the District nutrition guidelines which follow NJDOH guidelines. Additionally, a template for parties that promotes small bite-size portions and more fresh fruits and vegetables and the elimination of foods that have sugar as primary ingredient. For more info, contact Lisa Lee, School Health Council Program Coordinator at 732-431-7456 or Lisa.Lee@co.monmouth.nj.us. 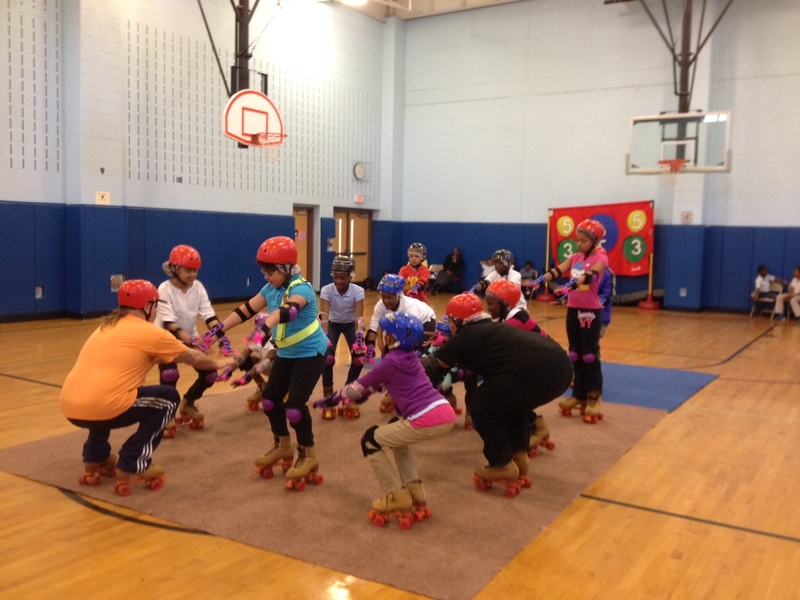 The infrastructure improvements we have made to our Community Center floor have greatly enriched the programs that we offer in that room. Our goal from the beginning was to offer a larger variety of wellness and fitness programs. We here at Eatontown Recreation can proudly say that we have reached that goal. 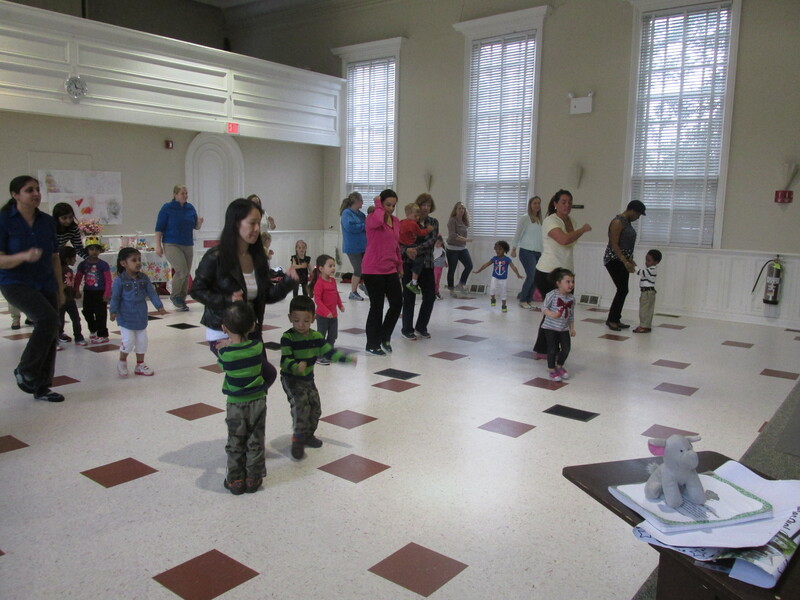 Our existing programs such as Zumba have increased in the number of classes we offer. 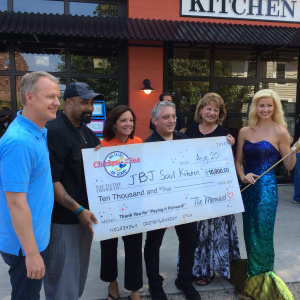 This then has produced more participants in these programs. Our Yoga and Low Impact Aerobic classes have doubled in the number of participants. We adhere this positive change to the fact that the floors are now more “fitness” friendly then our previous carpeted floors. Challenges we faced were shutting down our programs for a short period of time to construct the floor. Another challenge has been to preserve the floor by not letting the chairs that are used during meetings to scratch the floors. After purchasing “gliders” for the bottom of the chairs, we believe this problem has been rectified. So where do we see ourselves next you ask? Going forward we hope to add even MORE fitness/wellness programs to this building space. By always staying innovative, we are constantly looking for the latest fitness trends that could possibly lead residents into making the first ‘step’ towards a healthier lifestyle. 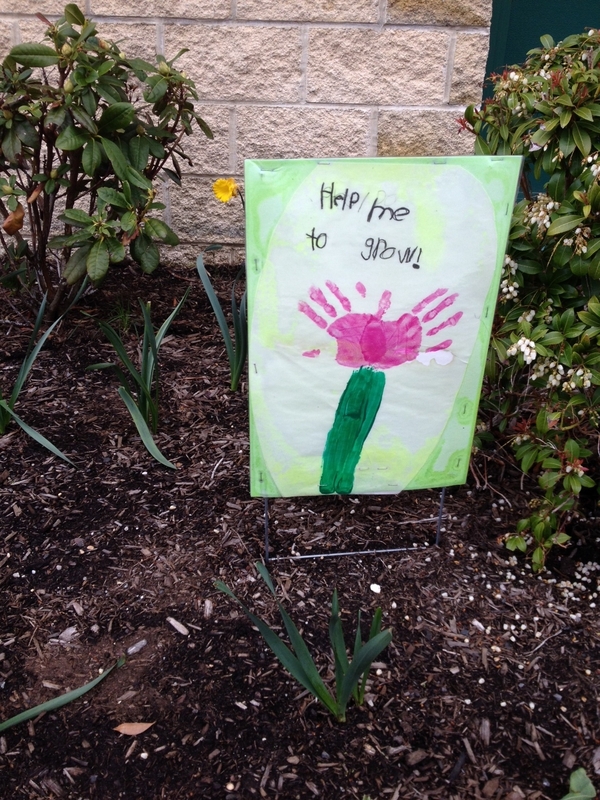 It Takes Many Helping Hands to Grow a Healthy Environment! Starting edible gardens at schools is an initiative that Action for Fitness in Monmouth County stands behind as an effective learning tool. Specifically, edible vegetable and herb gardens provide an additional source of fresh produce that allows children to taste veggies and fruits and to learn how to prepare healthier meals. 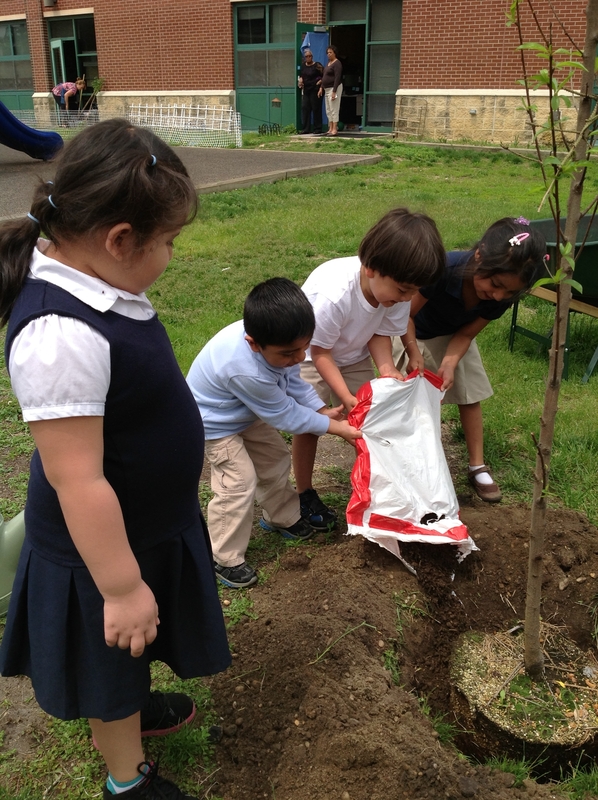 Gardens also teach kids how to grow their own food that tastes delicious and is good for them. Finally, gardens teach them about the cycle of life and how all living things, both plants and people, need the right combination of nutrients to grow properly. 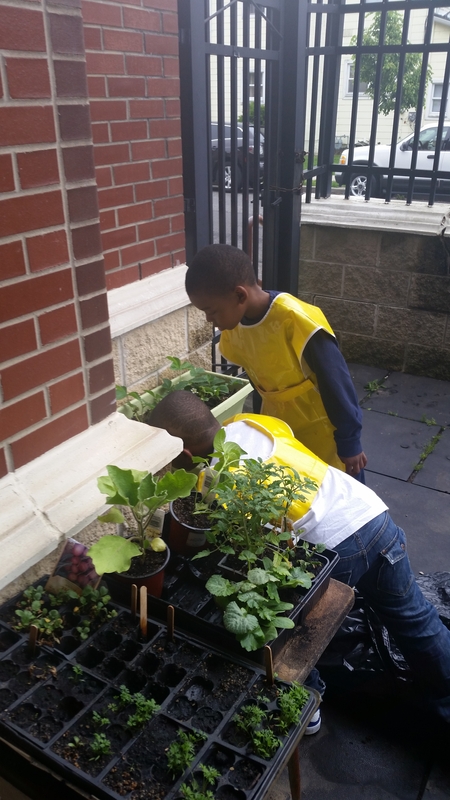 These kindergarten students at the Thurgood Marshall Elementary School in Asbury Park, NJ are helping to water seedlings and plant a peach tree that was donated by a School Health Council member. While our small Shaping NJ grant did not allow us to fund the building of gardens at our Asbury schools, the attempt is still being made to build a school veggie garden through personal donations. Several large containers, four raised garden beds and many types of vegetable seedlings have been donated but we are still trying to secure enough topsoil and compost to get the garden beds planted and growing this Fall when the kids return to school. If any readers of this blog would like to get involved, please let us know. You could be the helping hand that helps our dream of building school gardens at the Asbury Park Elementary Schools come to “fruition”! When you think of Summer Camp, you probably have something in mind such as children playing outside, sunny days, popsicles, and sprinklers. Pretty close, right? Well now paint this picture… children ranging from grades Kindergarten to Sixth grade enjoying a session of Yoga inside, sitting/posing peacefully while tranquil music plays. Not your average thought of Summer Camp, right? 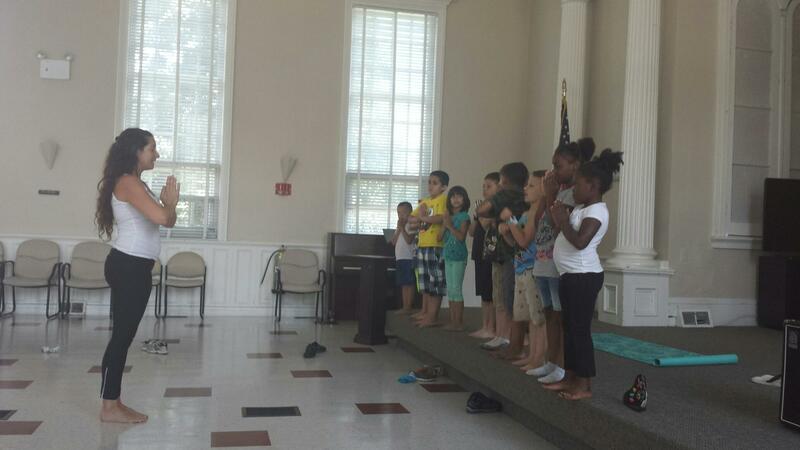 Eatontown Community Center’s full day, eight week, Summer Camp decided to mix it up this year! The results? AMAZING! 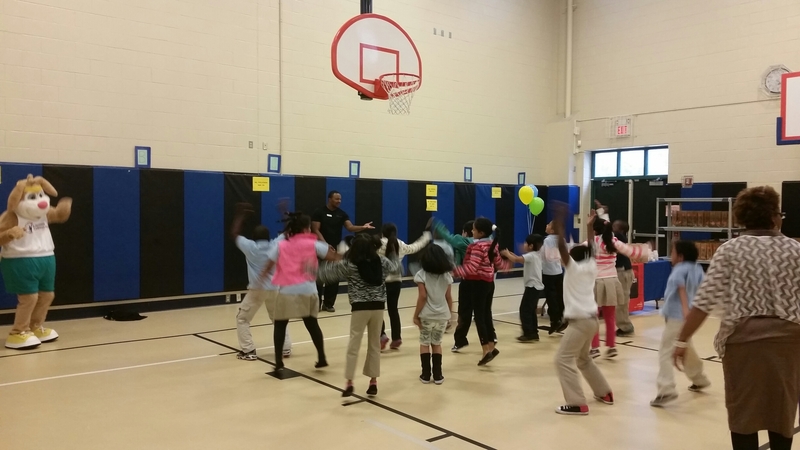 When putting together the Summer Camp calendar of events in early Spring, a few more active, fitness related programs were thrown into the mix. The initial suggestion of Yoga had mixed reviews. What if the children do not like it? What if they have trouble sitting still? What if they get bored? What if it is too hard? Putting all fears aside, the Eatontown Community Center decided to go for it and hired a certified Yoga instructor to teach classes throughout the eight week program. 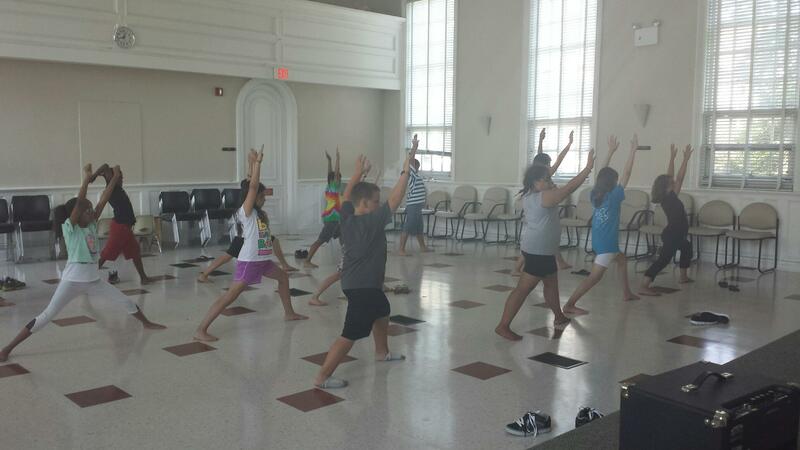 Campers were introduced to a beginner’s yoga with tranquil music, peaceful lighting, and an instructor who showed Yoga can be fun and is great for your health! 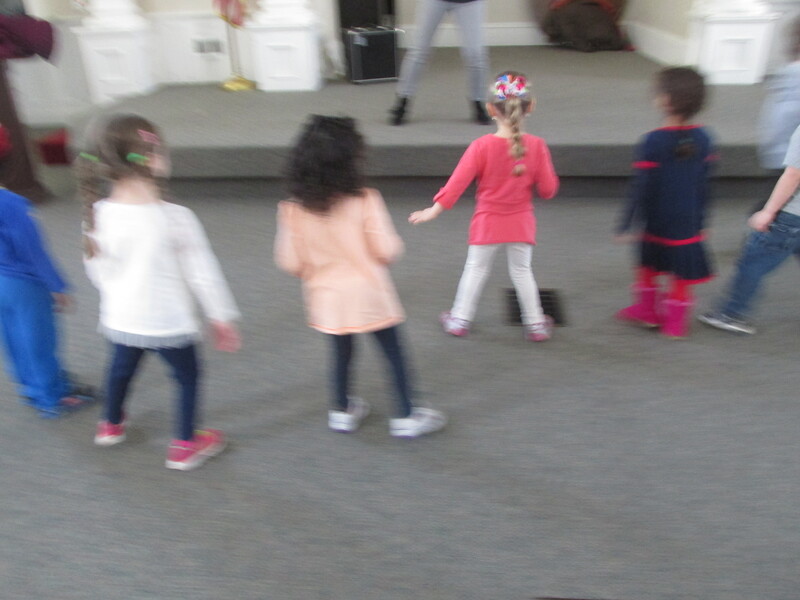 The instructor began class with more kid friendly poses in which she related them to animals and bugs. She mentioned that Yoga is fun and can be an awesome workout. In fact, anyone from NBA players to pro golfers practice Yoga to better their health or to optimize their skills. All fears were put aside as campers sat still, stayed attentive and engaged, and best of all left the first class eager to know when the next class would be! Sometimes taking risks with programs is very much worth the reward. And even if we do not have future yogis on our hands, at least a new form of fitness has been introduced to these children that will be carried through the rest of their lives.